For a number of reasons, lately I’ve been thinking about how to talk to young Reformed types. Well, maybe more how to talk to young Reformed types online. For one thing, I wrote a little piece a few weeks ago on a related subject that attracted interesting attention from some older Reformed types, as well as the questions of eager younger Reformed types looking to learn. I also just read James K.A. 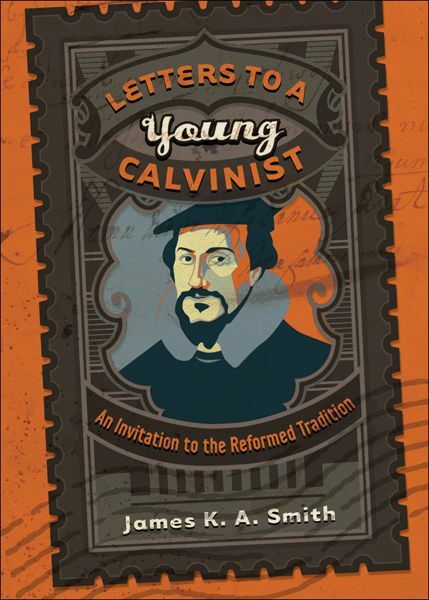 Smith’s little book Letters to a Young Calvinist this weekend. And finally, over the last couple of weeks, we’ve seen a number of articles, both positive and negative, talking about the impact, the focus, and the pedigree of the movement. Being under 30, having come to the Reformed tradition only lately, and contributing to the Gospel Coalition fairly regularly, I suppose this puts me, if not in middle of, then at least in a neighborhood adjacent to, the mix. In the middle of it all, one thing that kind of emerged for me is that some of us need to work on how we talk to each other within the fold. So, for instance, looking at conversations around the New Calvinism, some of the more caustic commentary around it seems to be coming not from Arminians, or Post-Evangelicals, or Wesleyans, but, well, the “Old Calvinism” that you might think would be a little more pleased about things. Now, though I’m new to the whole thing, I’ll admit I kind of get it. As someone who came in more by way of Vanhoozer, Plantinga, Horton, Billings, and Calvin himself than some of the “New Calvinist” lights, I have to say was a bit nonplussed when I saw the notion of covenant, or a renewed appreciation for Calvin’s sacramental theology, weren’t included in a recent prominent list of theological features of the New Calvinism. Covenant made sense to me long before election did, and is certainly as central to classic Reformed theology as election is. Actually, you might say covenant is a more distinctly Reformed category than election is. What’s more, Calvin’s views of the sacraments were part of what led to me favoring the Reformed tradition over others in my earlier studies, and have certainly played a major role in shaping Reformed piety through the centuries. Still, I can’t shake the feeling that much of the criticism coming from, well, Old (or maybe just older) Calvinists has an air of “Get it right the first time, or just shut-up, son.” Now, maybe I’m just a biased young-un’, but I can’t imagine this is a very helpful approach to take. It’s not that a lot of the younger Reformed, or just Calvinist-leaning types, I know don’t want to learn from other, older, more seasoned voices in the neighborhood. I think they do–I know I certainly do. It’s just that I’ve found critical condescension, nor aggressive boundary-keeping, isn’t as effective of a motivator towards theological reconsideration as some might think. Instead, I would commend Smith’s general approach as a model to Reformed types across the spectrum. Admittedly, Smith himself is known for being…curmudgeonly at times, and even has some shots at the New Calvinism in the book as well. Still, his overall tack is one of gracious invitation. (As a side-note, it’s actually just a great intro Reformed theology, especially of the Dutch variety, for some of us young Reformed types to read.) One of the strengths of the work is demonstrating that decrying deficiencies is less enticing than warmly commending the glories of what you have found to be a richer vein within the broader Christian tradition. Instead of quickly jumping down the throat of the novice (someone with a lot of enthusiasm and plenty to learn) for every early mistake, Smith takes a more fatherly, or even brotherly approach to it. Kevin DeYoung’s early engagement with Jefferson Bethke’s “Why I Hate Religion, but Love Jesus” video comes to mind as wonderful example of this. In it, you see DeYoung affirming the good he saw in the younger man’s efforts, correcting what he deemed to be errors, and in general inviting Bethke and his fans to a seeing things in a more biblical light. And to Bethke’s credit, and I think, the credit of DeYoung’s approach, he responded to the invitation with humility and grace. So, all that to say, for older Reformed types talking to younger ones, or Old Calvinists talking to New Calvinists, or “Calvinists” you don’t really think count, honey tends to work better than vinegar.